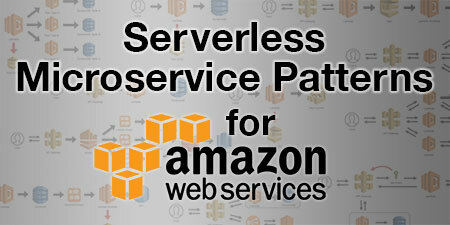 Last week we started a conversation about serverless microservices. 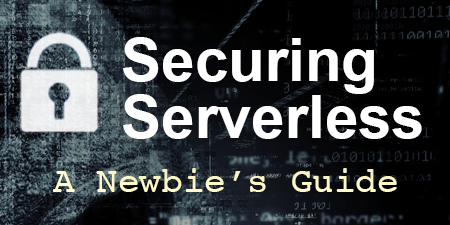 It was mostly an overview to get us thinking about handling complexity in our serverless architectures and some of the challenges we might face when doing so. This week I want to dive deeper and start looking at how we can use traditional microservice patterns and adapt them to serverless applications. Thinking about microservices can be a bit of a mind-bending experience for developers. Add serverless computing to the mix, and many run back to the safety and familiarity of their monolithic applications. I also think that there is still a lot of confusion about what serverless microservices look like and how they are implemented. In my new post, An Introduction to Serverless Microservices, I outline a few basic principles of microservices and then discuss how we might implement them using serverless. I also touch on the idea of orchestration versus choreography and when one might be a better choice than the other with serverless architectures. I hope readers will walk away from this realizing both the power of the serverless microservices approach and that the basic fundamentals are actually quite simple to implement. We’ve been talking a lot about building applications with serverless microservices, but we haven’t really discussed the tools we can use to actually manage our deployments. Luckily for us, Nitzan Shapira over at Epsagon does it for us in The Most Popular Deployment Tools for Serverless. ServerlessDays PDX. Portland put on quite a show the other week (even without wifi apparently). And according to Jeffrey Fate (who was in attendance), “Observability is the new black.” He wrote a great post that summarizes each talk and provides a few key takeaways. I’m still hoping for the videos. Last week, Steve Mayszak from AWS showed us some techniques for Serverless Application Debugging and Delivery Best Practices. 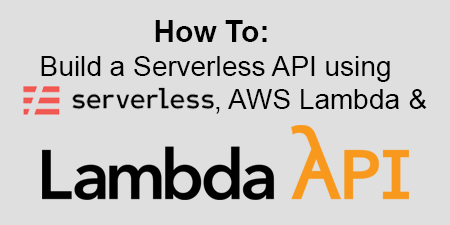 Spoiler Alert: it was heavily focused on using AWS native technologies like Cloud9 and CodeStar, but there were some good nuggets in there regarding debugging your Lambda functions with X-Ray and how to use SAM templates to create safe deployments. You can watch the recording and check out the slides. Ben Kehoe, Cloud Robotics Research Scientist at iRobot, takes a slightly different approach. In a recent InfoQ podcast, Ben talks about unit testing locally, then performing integration tests on deployed functions. He also talks about red/black deployments, something he’s mentioned before given the issues caused by canary deployments in distributed systems. Definitely worth a listen. How about here? PureSec just launched an OWASP Top 10 Project for Cloud-Native Application Security. This new document will raise awareness and create a baseline for application security in modern cloud-based application architectures such as serverless computing, container-based applications and microservices. I think this is long overdue, so I’m glad that Ory and his team took the initiative to organize this. They are looking for contributors as well, so join the project and help make the cloud more secure. This week’s star is Marcia Villalba (@mavi888uy). You probably already know Marcia. She’s an AWS Serverless Hero that consistently produces fun and creative serverless and AWS content. Her FooBar channel on YouTube has well over 100 videos loaded with great serverless tips and tutorials and she publishes new videos every week. You can also stay updated on her new videos by following her blog. The more I write about serverless microservices, the more I realize just how amazing this technology is. And with new tools and services being released all the time, these benefits will soon become accessible to more and more people. I think that developers would be wise to embrace serverless as the need for specialists in this area will only continue to grow. These are some exciting times! I hope you enjoyed this issue of Off-by-none. Please send me your feedback as it is always appreciated and helps to make this newsletter better each and every week. Contact me via Twitter, LinkedIn, Facebook, or email and let me know your thoughts, criticisms, or even how you’d like to contribute to Off-by-none.